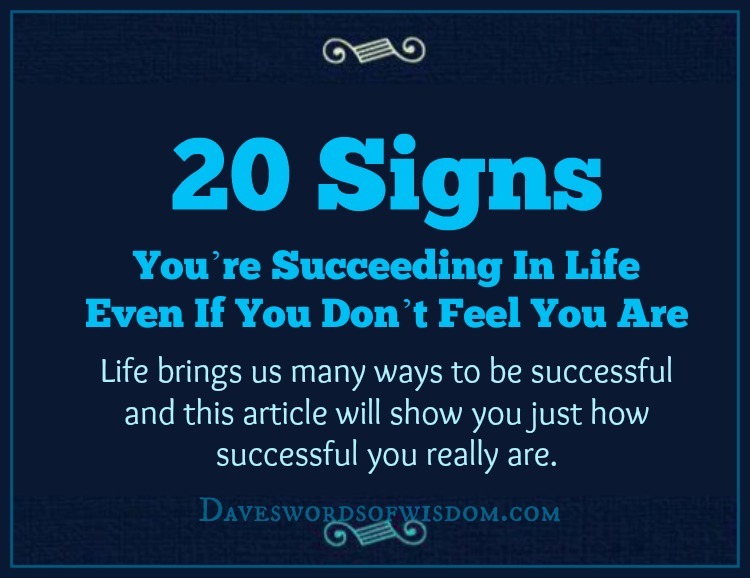 Daveswordsofwisdom.com: 20 Signs That You’re Succeeding In Life. 20 Signs That You’re Succeeding In Life. There are many ways you can feel successful in life and many signs that you are being a success in life. Here are 20 Signs You’re Succeeding In Life Even If You Don’t Feel You Are... and you will feel good about yourself. No, this is not narcissistic even though it might seem like it. Self-love is success. Love yourself enough to say ‘no’ to anything that doesn't make you happy, doesn't serve your purpose, or drags you down. 5. You appreciate who you see in the mirror. Ideally, you should appreciate who you see in the mirror at every moment. But even if that doesn't happen, if you do it more than you used to, then that is success. Love yourself. You are awesome. 6. You have learned that setbacks and failure are part of life. 7. You have people in your life who would do anything for you. 9. You can celebrate other people's successes. Just because other people succeed, that doesn't make you a failure. Applaud the people who rise to the top. The more positive energy you give to other people’s victories, the more you will create your own. 12. You have set goals that have come true. You know that life doesn't always happen to you. Many times, you are a co-creator of your life experiences. Successful people know this and refuse to be kept down by life experiences. The rise up and conquer anyway. 19. You change the things you can. 20. Most importantly - You are happy. To me, this is the ultimate definition of success. It doesn't matter what the balance is in your bank account, how big your house is, or how many fancy vacations you take. 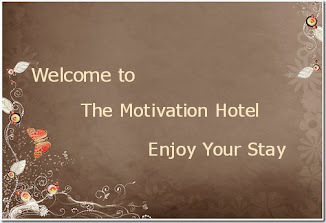 If you are happy, then you are succeeding in life. 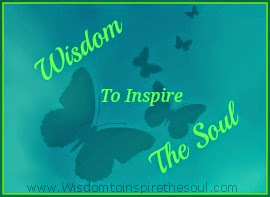 Success and happiness begins inside you, in your heart and mind!